Thank you for taking the time to learn more about orthodontics and your trusted Highlands Ranch orthodontist, Dr. Tyler Karlin! 2017 marked our 10th Anniversary of bringing orthodontic excellence and beautiful smiles to families throughout Highlands Ranch. Littleton, and southern suburbs of Denver, Colorado (CO). 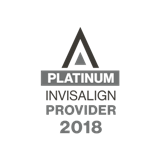 In 2018 Dr. Karlin became the #1 Invisalign Teen Provider in Highlands Ranch! Our mission is to set a higher standard for quality orthodontic care by providing our patients the best possible service through individualized treatment options, good communication throughout the treatment process, and a focus on good overall health. Our "green" office practices and technologies also promote environmental health. We offer a complete range of orthodontic treatment options including Invisalign, ceramic braces, and traditional metal braces, for children, teens, and adults. Our cutting-edge technology, all-digital practice, and modern office are combined with old-fashioned friendliness, integrity, and high quality standards to give our patients the very best care. We strive to exceed your expectations and to earn your trust. We care about our patients and treat each one as an individual as unique as their smile. Your new smile is our number 1 priority! We invite you to schedule a free consultation to discuss your smile and your goals with us. Check out our Patient Reviews on Facebook and Google to learn why our patients happily refer others to us. We look forward to meeting you in person and welcoming you to our orthodontic family!